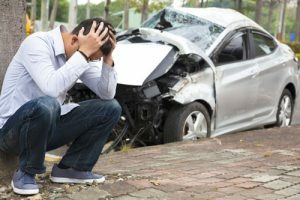 Personal Injury Lawyers - Carabin Shaw Law Firm | San Antonio Law Firm specializing in Personal Injury and Wrongful Death - Experience you need. Results you want. Personal Injury Lawyers: What Services Are Available to You? Have you ever wondered what a personal injury lawyer might be able to do for you? Many have, and many more should be looking into this kind of thing. If you have sustained an injury through no fault of your own, you may have a claim to be made for compensation. Injuries are not something that should just be brushed over. 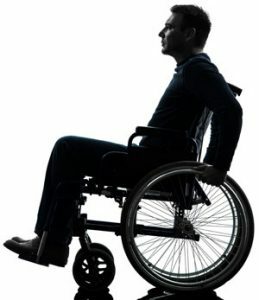 A personal injury lawyer can help you with these cases and are able to provide the following benefits. Consulting– Lawyers are best known for giving advice to their clients. They are able to offer solid advice about legal matters that people may have questions about. It is an important function for them because there are so many questions out there, and quite often fewer answers. Having a personal injury lawyer around who can answer some of these questions is critical to getting things moving in the right direction. Offer Emotional Support- You may not believe it, but attorneys can have big hearts too. They do not look at their clients simply as ways to make money. They truly do feel sorry for these people for the predicament that they are in. During the times that follow a personal injury, it can be difficult to deal with certain things emotionally. Lawyers can often be someone to talk to about these important issues. Even if they do not deal with this directly, they can at least offer references to places that you might be able to find the support that you are looking for. Serving As Your Advocate- The biggest and most important role that a lawyer plays is serving as your advocate in court. They work to make sure that you are fairly represented and get everything that you deserve out of the court proceedings. This is a nice thing to have around because you do not want to get run over in the courtroom. There are some people who do indeed have this happen to them, and it is a very unfortunate thing. If you allow your lawyer to work for you doing what they do, then there is a far lower chance of this happening. These are just three of the things that a lawyer is able to offer you. They are so great at what they do, and there is little to compare them to in terms of the amount of support they offer. You would be foolish to turn down the opportunity to use the services of a lawyer that you really trust. They do not get paid unless you get paid, so you do not have to worry about not being able to afford one. The monetary benefits of hiring a personal injury lawyer to get the justice you deserve to you are great. Make sure you take that into consideration when thinking about hiring a lawyer. There are few other things in life that are so important both to your financial health and to the justice system in general. That is why you must make the move to get yourself an advocate today.